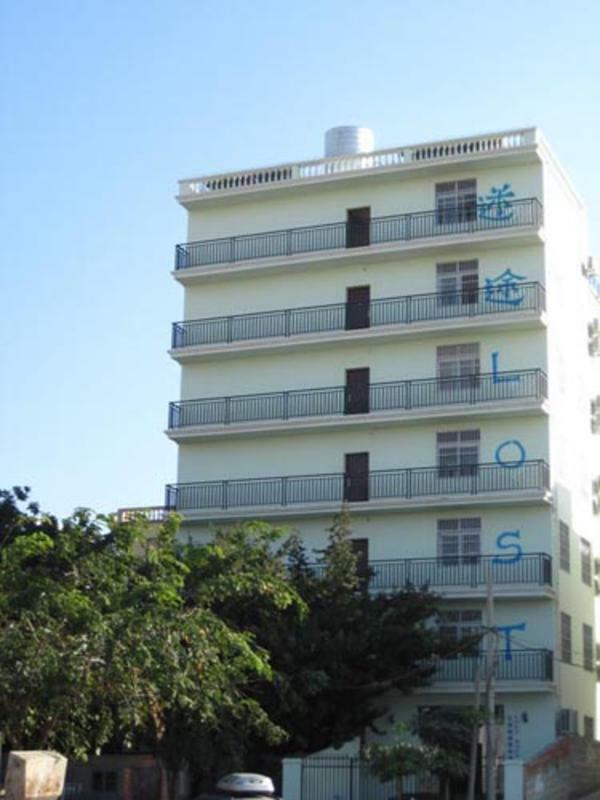 The Lost Hostel is a member of YHA (Youth Hotstel Association). 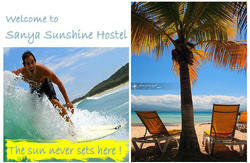 It is located in HaiPo Village, Sanya, just a 5 min-walk off the beach of Sanya Bay. The beach stretches over 10km, which is ideal for sightseeing, Oxygen SPA and also sports, especially swimming, jogging or cycling along the seaside road. It is a right place if you are looking for serenity around the beach, it is not very suitable for those ones particularly interested in night life. 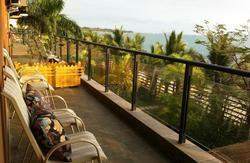 The balcony nextby has a good landscape, where you can chill out a bit and enjoy the peace and the refreshing wind. Please remember to bring passport with you when you check in. Please inform us if you are going to arrive late, otherwise your booking may be cancelled automatically during the peak season. in that case, please contact us via email for a further conformation. If you book several beds at a time, we can not promise that you will be arranged together in the same room. You can take No.8 bus to Guoguang Binhai Huayuan (namely, Howard Johnson Resort Hotel) which is only 2-stop off from the airport, then walk along Xincheng Road for 400m, the hostel is on the left, we have a luminous banner on the fifth floor. 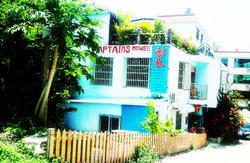 It will take you about 20 to 30 RMB from the airport to our hostel. For detailed location confer above (By Bus). we recommend that you print out the map (which is in Chinese), you can show it to the taxi driver, that will greatly help to get here. You can take the No.30 bus to Xincheng Road .Walk along the Xincheng road(opposite to the Howard Johnson Resort Hotel), for 400m, the hostel is on the left, we have a luminous banner on the fifth floor. The bus station is about 8 km away from the hostel, it may take you 20 to 30 RMB (15 mins) to the hostel. You can go opposite side of the bus station to take No 8. bus (in the dirction to the airport) to Guoguang Binhai huayuan (namely, Howard Johnson Resort Hotel), then walk along Xincheng Road (on the opposite side of where you get off the bus) for 400m, the hostel is on the left, we have a luminous banner on the fifth floor. Tips: please keep our telephone number for consultation at any time.